General Admission to Dancefestopia 2019 for Friday, Saturday and Sunday. This ticket does not include camping. VIP Admission to Dancefestopia 2019 for Friday, Saturday, and Sunday. Elevate your festival experience with access to the VIP Sky Deck, directly adjacent to the main stage and access to an air-conditioned lounge with real restrooms (flushable toilets & running sinks), a full cash bar, seats & tables and power outlets. Limited VIP passes available - this will sell out. Limited to 50 tickets - Includes all VIP amenities plus exclusive access to a raised side stage platform with a direct and backstage view of your favorite artists as they prepare and perform on the main stage. This will sell out. As an added bonus, Kevin will personally make you a turkey sandwich. Camping access for Friday, Saturday and Sunday. DFT offers manicured forest, primitive forest and field camping. Camping spots are all first-come, first-claimed. Festival admission and camping pass are required to access camping. One camping pass per person. The LAST CABIN LEFT! Gather up to 24 friends and enjoy cabin life! Meadow View Cabin sits at the base of the main festival grounds only steps from the main stage and all the other action! The cabin includes 24 single beds, 4 flushable toilets, 4 showers, electricity, heat, and 6 sinks. The cabin comes with up to 24 camping passes. No outside liquor is allowed. You may pre-purchase liquor if you are 21+ and we will have it ready for you in your cabin when you arrive. Email us at comments@bordaproductions.com after your purchase to secure your liquor order. You may also add a Thursday night option for $850- use code "EarlyMeadow" to access that add-on ticket type and enjoy early arrival for the entire cabin fam! *This cabin does not include access tickets. Upgrade (1) VIP 3 Day Access Ticket to a Super VIP 3 Day Access Ticket. Both tickets will need to be presented together at the Box Office. Enter the festival and/or camping 2 hours before everyone else! Pick the perfect camping location. Entry Pass is not an access ticket nor a camping ticket- please purchase those separately. This ticket provides access to Thursday camping and free access to the Thursday Preparty. A standard camping and admission pass is required. Unwind with a refreshing stay at the Hampton Inn Kansas City/Overland Park hotel, this hotel in Overland Park, KS. Set close to College Boulevard and a variety of exciting attractions, this hotel is positioned near a range of businesses, including Sprint Headquarters, Black and Veatch, Corporate Woods, Ericsson, and the Overland Park Convention Center. Stroll through the stunning Overland Park Botanical Gardens, marvel at the Nerman Art Museum, or treat yourself at the Country Club Plaza or Oak Park Mall, just minutes from the Overland Park Amateur Sports Complex. Relax in an inviting guest room and enjoy a soothing night’s sleep in a comfy, fresh bed. 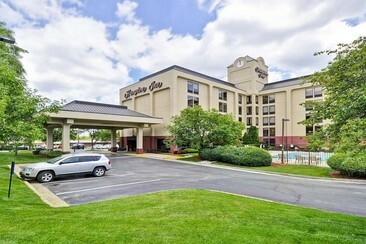 Offering free WiFi in public areas, this Overland Park hotel boasts a versatile function room. Spacious non-smoking guest rooms with inviting, cozy beds, a mini-fridge and a microwave. 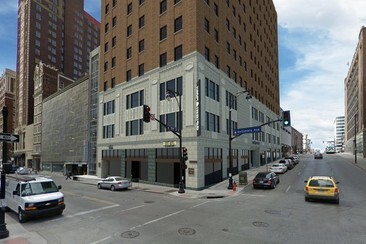 Hotel Indigo - Kansas City Downtown is housed in the beautifully renovated 1930s-era Brookfield Building. Popular points of interest nearby include Kansas City Convention Center and Sprint Center. National World War I Museum at Liberty Memorial is 2.9 km away. Kansas City International Airport is 31 km from the property. The hotel offers a continental or American breakfast. There's also a cocktail lounge/coffee house and a gym. The hotel has 118 guest rooms are styled with travel-themed touches including postcard and postmark designs in a room. All rooms include free W-fi access, a flat-screen TV with satellite channels, a fridge and tea/coffee maker. Comfortable, private and professional transfer One-way private airport transfer to Kansas City International Airport. Comfortable, private and professional transfer One-way private airport transfer from Kansas City International Airport. 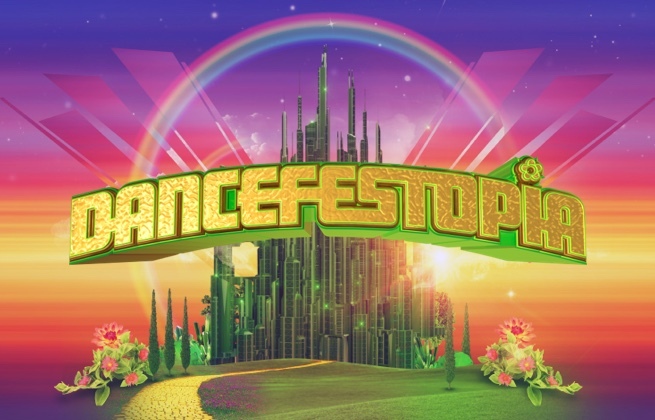 Comfortable, private and professional transfer Return private airport transfer to and from Dancefestopia Festival. Get to the festival in comfort and on time - Travel with like-minded people! 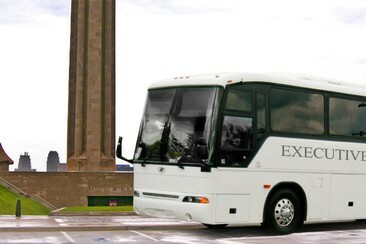 Shared coach to Kansas City International Airport. Get to the festival in comfort and on time - Travel with like-minded people! Shared coach from Kansas City International Airport. Get to the festival in comfort and on time - Travel with like-minded people! Shared coach to and from Dancefestopia Festival. Canoe around the calming emerald pond at Dancefestopia. 1 ticket is good for 1 person and 1 ride - 2 people can ride in each canoe. Fly a hundred feet above the festival grounds on a tethered Hot Air Balloon ride! Enjoy unparalleled views of main stage and the entire Emerald City. This is one of the most unforgettable and picturesque rides of your life! Balloon rides require a camping pass and are available Saturday between 12pm and 8:30pm. Please arrive with proof of identification to claim your ride. In the case of wind or weather, your Saturday ride may shift to Friday or Sunday; we will use your order email to communicate any adjustments. Refunds are not available. Rides will last from 8-10 minutes! Safeguard your valuables in a secure lollipop locker on site at Dancefestopia. 1 locker per purchase. Unlimited access to the 'Over the Rainbow Swimming Pool' overlooking the main festival grounds and amazing views of the main stage. This will sell out. Experience a trip of a lifetime as you launch directly out of Emerald City into the Rainbow Sky. Soar high above DFT as you take a journey over the lakes and forests within the conservation. The exhilarating journey is 5 minutes. Price is per person. 3 Passengers can all ride together per tour. DFT’s tornado rock wall is not messing around. Try scaling a 30’ wall, from beginner to advanced. 1 ticket is good for one person and one climb. Please note: closed-toed shoes must be worn.